This post mainly describes how thumbnails are displayed in each mode. Default : When starting, this mode lets you select drives/directories and start scan. (default). - Selecting the magnifying glass will display Thumbnails in the big display. You can then move over Thumbnails to get a small zoom of each. - Mouse click starts/Stops playing from current position. ListView : One display (half screen) and a large ListView containing files list. - Usefull to sort medias by details. 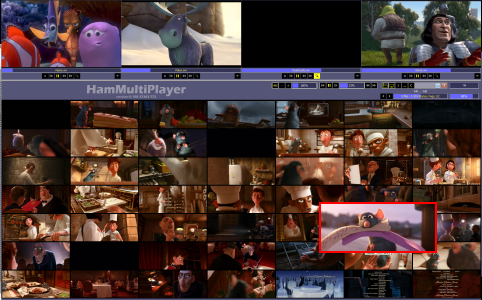 - Selecting the magnifying glass will display Thumbnails in the big display. (works the same as default). - Clicking Scan every found media and get details for each file. - Note that clicking this option automatically enter to Dual display mode. 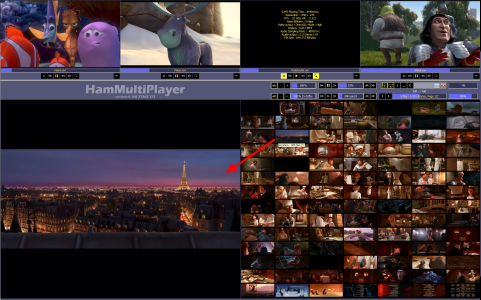 DualView : Essential to compare two movie's pictures. - Selecting the magnifying glass will display Thumbnails in the right side. Left side show the movie. 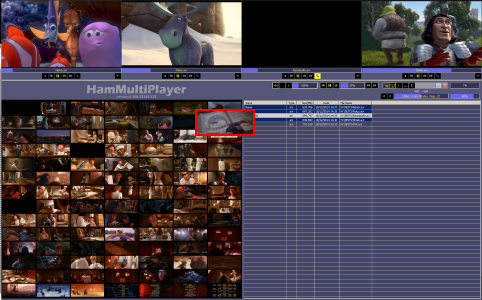 - Operation is different while you just have to move your mouse over thumbnails to change the left displayed position (see red arrow above). FullWidth : Display full width (no TreeView, no ListView). - Selecting the magnifying glass will display Thumbnails all over display width. Thumbnails number can be set in options menu. 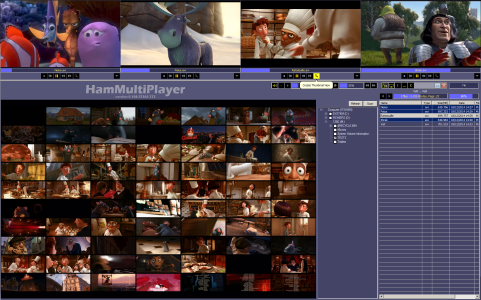 Only one value can be set (number of thumbnails by line), so thumbnails size will be different for each display mode. Thumbnails speed creation depends on CPU power and System drive speed (using a SSD drive goes faster to generate thumbnails).